An honest and raw accounting of a difficult experience. Somewhat disillusioning for those who have a narrow world view. The Gringo, if nothing else, is an entirely honest accounting. 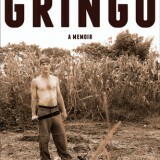 From the depths of extreme poverty that he experienced throughout the time he resided in Ecuador, to the levels of bureaucracy that crippled his attempts to accomplish what he came to do, to the near constant physical and mental challenges he faced, Crawford doesn’t shy away from offering the unvarnished truth, and it is that that makes The Gringo worth reading. When J. Grigsby Crawford decided to join the Peace Corps, he likely had the same perception of the international organization that the rest of us do. After being around for over half a century, it is a highly regarded group of volunteers who are dedicating some of the best parts of their young lives to making the world better, one humanitarian project at a time. It’s hard work, grueling work even – but worth it if only for the knowledge that you, as a volunteer, are making the world a better place. Yes, when J. Grigsby Crawford signed up for two years in the Peace Corps just before he graduated from college, he thought he would be roughing it for a cause, and doing something good for South America. Unfortunately, it turns out that the reality of the Peace Corps is just a bit different from the public face they project, and the two years of hard labor and worthy service he expected turned out to be a trial physically, mentally, and morally that he could never have imagined. The Gringo is the tale of those years; a raw and unfiltered account of what it means to be a volunteer in today’s Peace Corps. 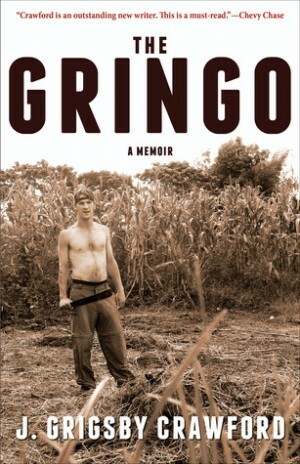 Whether you’re contemplating service yourself, are curious about what these volunteers face, or just love an honest accounting of difficult times, The Gringo is a book worth reading. Perhaps the most well known slogan of the Peace Corps is “The toughest job you’ll ever love.” When Crawford finally made his way to Ecuador (after a year of holdups and red tape that would foreshadow much of his Peace Corps experience), he really did feel that he would be making a difference in people’s lives, and he carried that feeling through all the training and waiting anxiously to be assigned to a site. But when he visited the place that was supposed to be his home for the next two years, he began to get an inkling that the reality of the Peace Corps might be vastly different than he dreamed.